I won’t ascribe this to lurking sense of religious modesty. I don’t think anyone was scandalized by appliances or items of furniture that went about with heads uncovered. 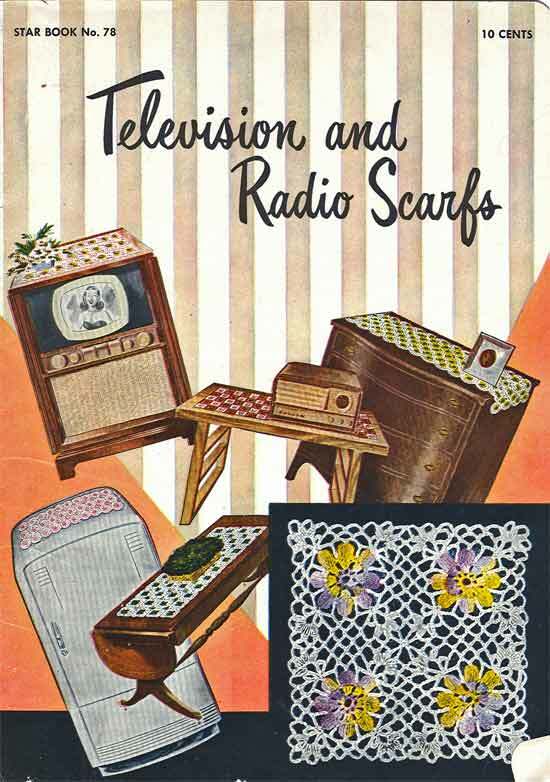 This book from 1950 spends no time explaining why you should knit something for the top of the TV or radio table; it’s just assumed that you want to, even though the mere addition of such items appears to suspend gravity and make your items float about in a disoriented jumble. Frankly, this cover looks like Illustration # 1 in the “When Should I Call an Exorcist?” booklet the church hands out if you pester them enough.